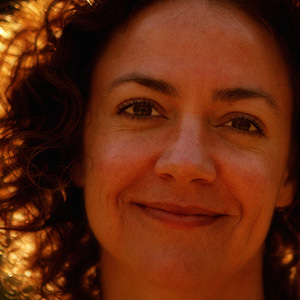 Helen Hood Scheer is a documentary filmmaker, freelance producer, and assistant professor at California State University, Long Beach. Documentaries that she directed/produced/shot have screened at more than 100 festivals and museums including Hot Docs, Full Frame, True/False, Los Angeles Film Festival, and the National Gallery of Art. She has also been a producer on documentaries that have been broadcast on HBO, PBS, A&E, and National Geographic Television. Helen made her directorial debut with JUMP!, an award-winning documentary feature film about competitive jump roping. The film was acquired by Showtime, broadcast nearly 250 times, and optioned for fictionalization, and it earned her the Someone to Watch award from the Cleveland International Film Festival. Her most recent documentary short, The Apothecary, is about a druggist who operates the only pharmacy within a 4,000 square mile radius in the American Southwest. It premiered at DOC NYC and won the Special Jury and Special Audience Recognition at Aspen ShortsFest and the gold medal Student Academy Award. Both JUMP! and The Apothecary were selected by the U.S. Department of State as part of the American Film Showcase, a film diplomacy program that travels to American embassies worldwide. In addition to making her own films, Helen freelances for other directors. Recently, she served as archival producer for In Country, a documentary feature about Vietnam War reenactors (now available on iTunes), and a consulting producer on Landfill Harmonic, winner of SXSW's 24 Beats per Second award). Helen earned a B.A. with highest honors in American studies and a minor in history from UC Santa Cruz and an M.F.A. in documentary film and video from Stanford University.